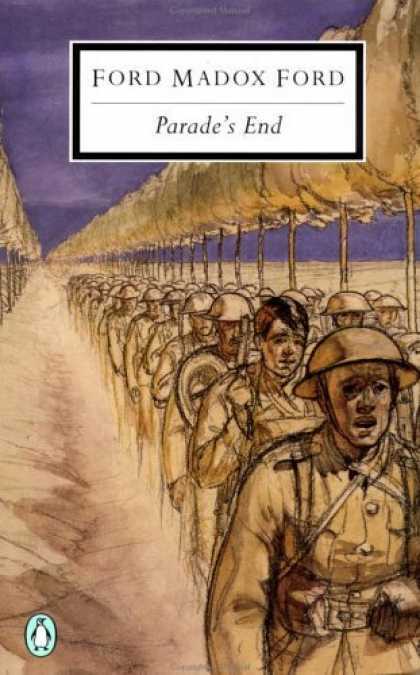 Like many other people, I haven’t read Ford Madox Ford’s massive novel Parade’s End (although I have read other novels by him); also like many other people, I will be buying a copy soon. Tom Stoppard’s adaptation for the BBC is appealing, visually, intellectually and emotionally, judging by the first episode. I read a review which described it as the ‘high-brow Downton’, and that’s about right: it shares a lot with the hit series Downton Abbey – period, class, setting, war, etc, but in so many respects it is quite different. Of course partly this depends on its source: Parade’s End is (apparently) a complex Modernist novel which has little in the way of a timeline. This is reflected in this adaptation: the action jumps back and forth, in w way which is not too difficult to follow, but woe betide you if you decide to take a phone call in the middle of it. Benedict Cumberbatch plays Sherlock Holmes, but fatter and without Holmes’s vices – and, despite appearances to the contrary, with an additional capacity for love. Moreover, he has a stiff upper lip which is not just metaphorical; you can actually see it and stare in surprise as it fails to move during meals, conversation or high emotion. His character, Christopher Tietjens, is a remarkable, Victorian fossil: immoveable as stone on the outside, and not necessarily the most likeable of characters, but with a nobility which one has to admire even when it seems misplaced. (I also cannot help but be impressed and amused by a man who corrects the encyclopaedia). Tietjens’ wife, Sylvia, is serially unfaithful, and seems to be intent on shocking everyone; their relationship appears to be a clash of the old and the new; Tietjens has inherited the Victorianism of his father’s generation, while Sylvia is representative of the new generation. This contrast is further set up by the imagery of the screenplay: Tietjens almost always appears in deeply Victorian settings, beautiful old wallpaper, paintings, antiques etc, while scenes which feature Sylvia appear like a set of Modernist still-lives (think Vanessa Bell). This clash of ideas, seemingly fatal to their marriage, seems to be a part of their attraction to each other, however. Yet the only love we really see in the early part of this episode is that of Tietjens for his son, who may not even be his. Towards the end of the episode, it becomes clear that Tietjens is developing feelings for the remarkably-named Valentine Wannop, a young suffragette. At this stage we see that the clash between the old and the new is not all about Tietjens and his wife; Valentine represents a new kind of younger generation, one that believes that good works are necessary, and that we can make the world a better place – a complete contrast to the selfish and self-seeking, if beautiful, Sylvia. Perhaps the remarkable difference in their characters is heralded by Valentine’s entrance, chased by a policeman like a scene from an old-fashioned farce. This collision of old and new, however, is one which will change the lives of the characters (and, incidentally, is nicel y represented in the collision between a horse-drawn carriage and a new motor car). Incidentally, I must comment on a few links to the Pre-Raphaelites. Not only was the novelist, Ford Madox Ford, the grandson of the painter Ford Madox Brown, there is also a reference to Tietjens’ friend Victor McMaster’s book on Rossetti (though Tietjens refers to Rossetti’s works as ‘like congealed bacon fat’!) This is perhaps indicative of the ways in which Parade’s End attempts to distance itself from the Victorians. In fact, this episode was laden with symbolism of various kinds: it is a highly literary adaptation. There is an abundance of modernist symbolism: the refracted lights of the chandelier in the opening sequence; the repeated motif of the train wheels bearing down on the world, rushing ahead into the darkness that would become the Great War. Because, of course, that is where all this is leading: to the war, and the ultimate darkness and uncertainty that brought to Europe. Yet even in this opening episode, there seems to be a profound sadness at the heart of the plot: an inability to trust or even understand other people, prefiguring the emotional destruction to come. The fog in which Valentine and Tietjens get lost not only offers a chance for them to become close, but also is indicative of the emotional fog which obscures their ability to form functional relationships. Moreover, this crucial scene takes place outside: away from the aesthetic ties of Victorianism and modernism which fix Tietjens and Sylvia to their place in time. Were he not so noble, Tietjens might find true happiness with Valentine. Also, if I remember correctly, Anthony Burgess, in his survey of 20th-century fiction, “The Novel Now” rated Brown highly. Thanks, Ian – I shall look out for a copy of that too. I studied ‘The Good Soldier’ and ‘The Saddest Story’ as an undergrad so I already liked FMF’s novels; and the title of ‘The Last Pre-Raphaelite’ is great! Alan Judd’s biography (called “Ford Madox Ford”) is quite excellent; he appreciated Ford’s work & also the man. Judd also reviewed the show for The Spectator–he thought that Ford would approve. Ford wrote his own monograph on Rossetti (related by marriage) as a young man; by the time of Parade’s End, he’d moved on from the Pre-Raphaelites. Two of his characers had not. I first read Parade’s End in an omnibus volume, then invested in the Carcanet Press critical editions of each volume. It bears rereading. And the show will repay repeated viewing. Stoppard uses much of Ford’s dialog but sometimes puts the words in another character’s mouth; or puts the dialog in a different scene; or brings stream-of-consciousness musings into speech. The Stoppard “inventions” I’ve noticed fit quite well. And, of course, the production is beautiful. Thanks for your comment – I am even keener to read the book, and FMF’s biography, now! Interesting to hear the Stoppard screenplay fits the stream-of-consciousness style well.